In affiliate marketing many webmasters are constantly on the lookout when others steal their content and images. What can be more frustrating is when google still gives traffic to websites that don't write their own content or perhaps it was created with content spinning. 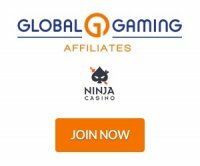 In the online gambling industry what typically happens is the affiliate has to contact their affiliate managers to request accounts be closed from the thief. Webmasters can also ask the host to shut down their account which sometimes falls on deaf ears. This is a case study of content theft gone horribly wrong and another reason why you should write your own content or at least give some credit to the original source, perhaps even going as far as asking for permission. Meet Natalie Maclean who proudly boasts on her website www.nataliemaclean.com that she won an award for 'Best Wine Writer'. It appears for years she has been reproducing wine reviews without properly crediting the original authors or even asking for permission. Some authors have stated they don't even want her using the content at all. Many of the wine reviews she has listed in her datebase only have obscure initials. She charges her users $2.10 per month to read the wine reviews that have been written by other authors. She also appears to charge money to have wine reviews listed but she has been quoted to deny this. Now an article by Palate Press appears to have left a bad stain on Natalie's reputation as a wine author. Her career in the wine business could be in jeopardy and it should serve notice to webmasters to be careful. Read the comments if you want to see what others have experienced. 1. Copyscape.com - Sometimes you can get notifications that you have been copied. 2. Google Alerts - If you have a unique brand name, try putting that into the content as some robots or really lazy people will copy everything. So if you write a review try putting something like 'review by Gaffg'. Then you can setup a google.com/alerts for your brand name and see when people use and publish it. This is like the text version of watermarking your content. Likewise for images you can also watermark them as well. 3. Copy a phrase of your review or content, search for it in google and see the results. Sometimes people or robots will copy things word for word, other times you will find the content reworded. Just make sure you rank higher. 4. Contact their host - Some hosting companies sometimes listen to complaints when someone steals content. Obviously this implies that you tried to contact the site owner but if they ignore you, reach out to the hosts. 5. Use social media - You can treat social media like a forum. Hashtags in some cases can become bashtags.